Pa Design's history began with the vase called Tlaloc, a vase with suction-cups containing 7 tanks. This vase was so innovative that it has generated many suction-cup side-products as well as many copies. The name Pa Design came from the fact that the company are against the idea that design is only a style. At the beginning, the vase occupied all their energy. 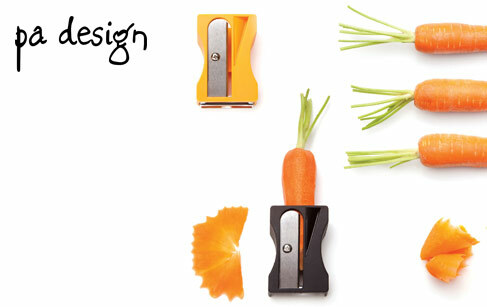 Because of its success, Pa Design decided to edit other objects and to welcome other designers. The desire of Pa Design is to edit idea-objects. Pa helps young designers whose main concern is the appropriateness of their ideas: the object's nature and its function should be inseparable. An object’s value is the strength of the idea that structures itToday Pa Design continues to seek objects which call forth strong ideas. A tiny thing that makes the object different and that makes your eyes sparkle. An object that speaks to us, day after day. Editing an object requires time and energy investment, which keeps Pa Design from developing as many projects as they would like to. But what they do make is always of a high standard.